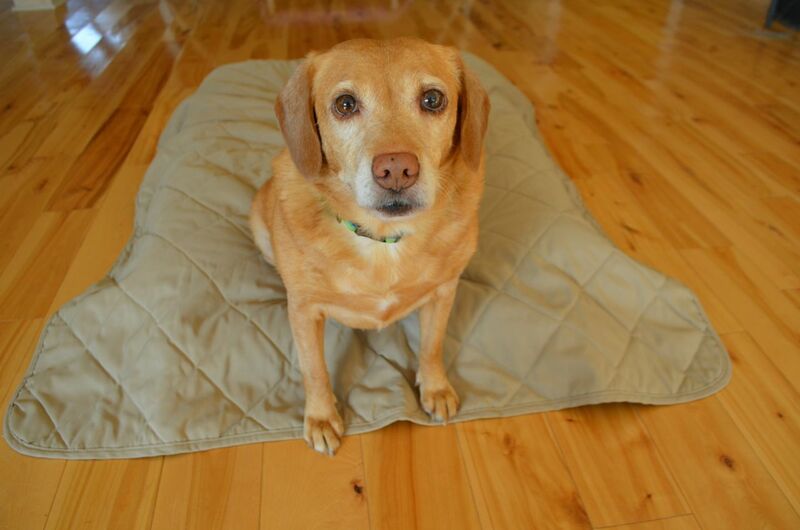 You are here: Home / Meet the Animals / Darla: Once blind, now she can see! Darla: Once blind, now she can see! That’s how Darla’s eyes looked when she arrived – big, mature cataracts making her completely blind. So while her story has a very happy ending, how the story begins is maddening. A shelter in northern Michigan first asked us to take Darla in February 2012, after she was found as a stray in an industrial area and then abandoned at the county animal control facility. Just days before our transport was due to pick her up, Darla’s owner finally showed up and demanded her back. The shelter director declined, pointing out that the owner had let this blind dog wander off in brutal winter weather; had failed to search for her; and then left her unclaimed for weeks. Darla’s owner complained to the county administrator, who forced the shelter to return her. 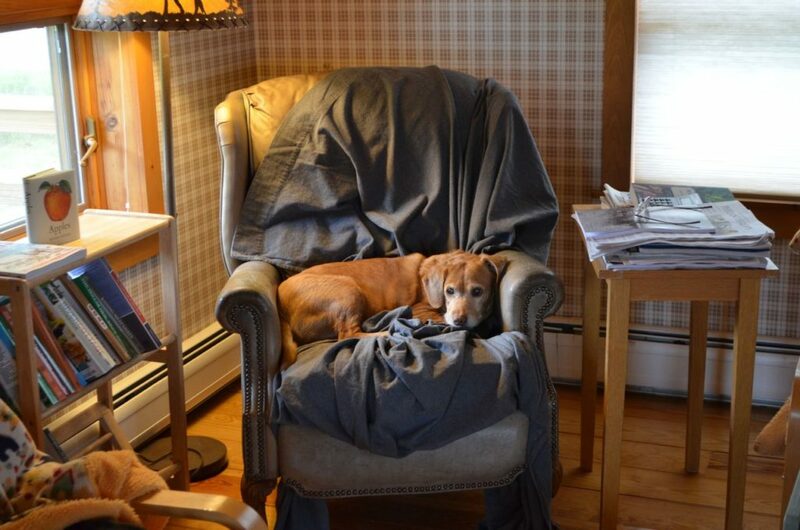 In April 2013, a different person brought Darla back to the shelter. The staff recognized her as the same dog they were ordered to return the previous year. Well, the original owner who insisted on getting Darla back subsequently moved and didn’t want to take her along. So he gave Darla to friends, who took her to the shelter. It was the best thing to ever happen to her. The shelter contacted us again, and soon Darla was safely at the farm. We promptly scheduled an appointment with our veterinary ophthalmologist. 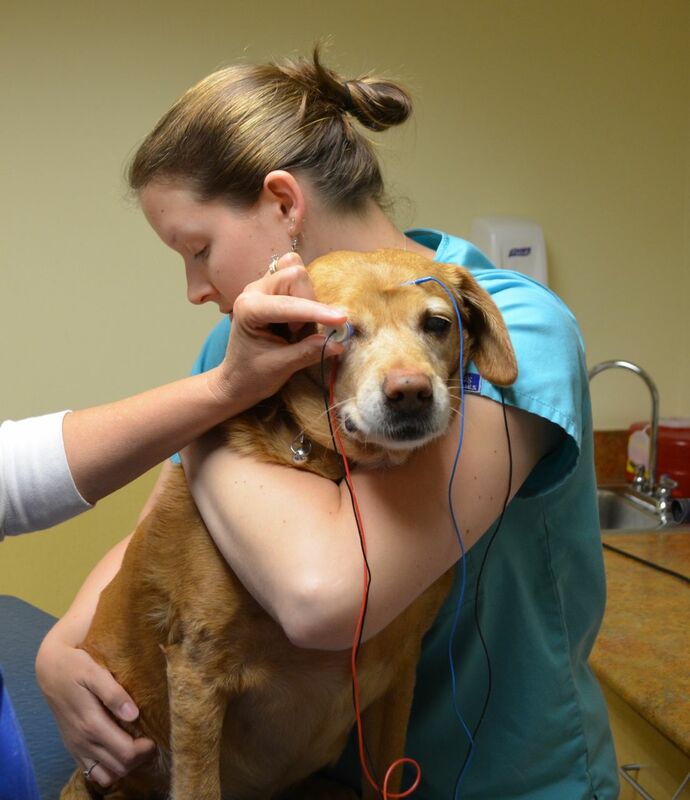 Darla’s ERG test (seen in this photo below) showed her retinas were actually working fine behind those cataracts. That meant she was a candidate for surgery. A few weeks later, Darla woke up from her cataract surgery and could see the world again, no doubt for the first time in years. Her tail wagged and wagged. 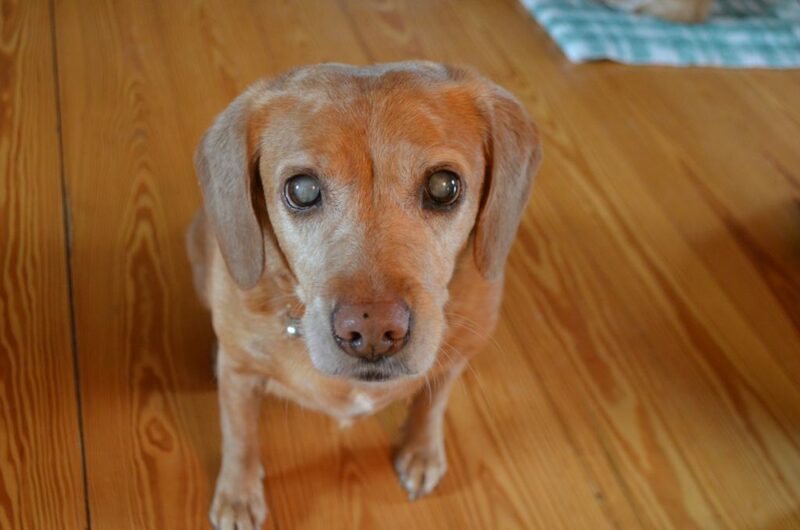 Nothing makes us happier than to be able to give a blind dog like Darla her vision back. From the moment she arrived, though, she had already stolen our hearts. She began breaking all the rules — and getting away with it. He agreed to share custody of the chair. Rule No. 2 was, No dogs in our bedroom. She broke that rule early one morning when she bounded into the bedroom, leaped onto the bed, and rolled over for a tummy rub — which she got. Rule No. 3 was, No dogs on the second floor. This is where our offices are, and like the bedroom, one of the few areas with carpet (um, certain dogs find carpet a nice alternative to going outside to pee). Darla always followed Steve around, and he felt guilty about closing the gate and leaving her sitting on the stairs. So she began going into his office and sitting under his desk while he worked. There went Rule No. 3. 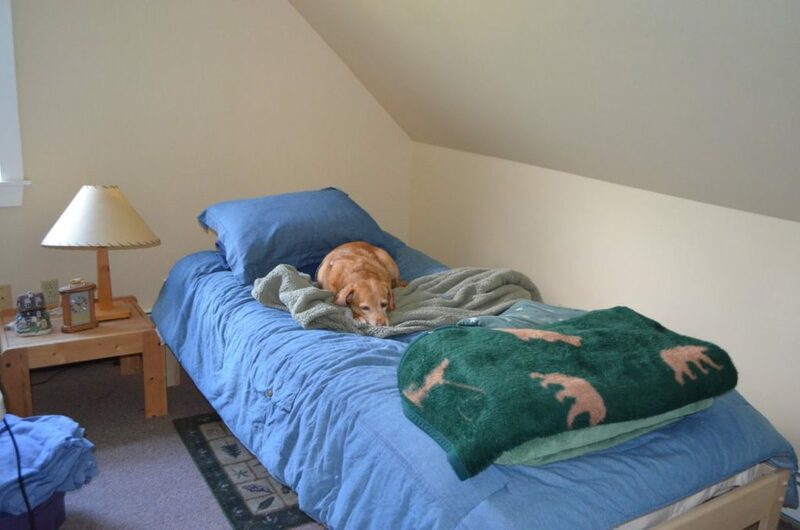 Darla soon realized, however, that just across the hallway from the office was the spare room with a very comfy bed, topped with a fluffy comforter, pillow and extra blankets. In other words, the perfect dog bed. As she probably asked herself, “Why sit under his desk when I could sleep on that bed?? Why indeed. But if she wants us to buy her a tiara, that’s where we draw the line. Rule No. 4: No tiaras on dogs.